In Nepali culture if a father falls sick, the son is responsible for taking care of him. But as joint families fragment into nuclear ones and dual income households become the norm in urban Nepal, people don’t have the time to take care of sick family members. Taking leave from work is not always possible and puts pressures on those who live pay cheque to pay cheque. 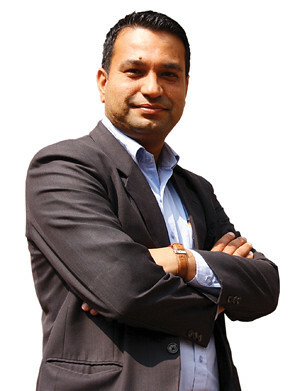 To help fill this gap in Nepal’s medical system, Bishal Dhakal, a cardiac surgeon by profession, started Health At Home in 2009 which brings healthcare services right at peoples’ doorsteps. “By providing care that is on par with hospitals, we allow people to can carry on with their work without constantly worrying about the well-being of their loved ones and also save them the hassle of travelling back and forth from the hospital,” explains Dhakal. Health at Home offers patients with long-term, chronic illnesses expert and personalised care in the privacy and comfort of their own homes. Although this is a fairly new concept in Nepal, services of this kind have been offered in the West for years. The process is pretty simple: families make an appointment with doctors who will assess the patient suggest services. Clients can then customise programs according to their budget and time constraints. “Families can choose to have healthcare services for 24 hours a day or just once a day, it all depends on their needs,” says Dhakal. Here is a sister Himalayan kingadom so similar to Nepal,so close by, and yet so different. Required reading for every angst-ridden school dropout in Nepal duped into believing that dictatorship is a necessary condition for utopia. The people need a ceasefire that guarantees human rights. On Buddha Jayanti, visit the new symbol of peace.